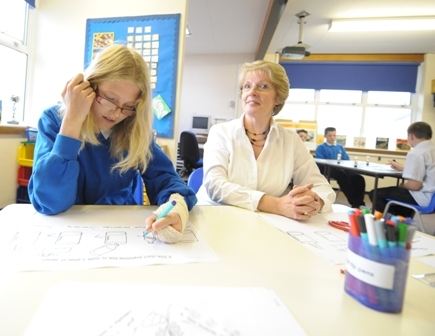 At Brookfields School we believe that mathematical and numeracy skills are an essential part of the pupils learning as they provide all pupils with powerful ways of exploring, investigating and understanding the world around them.Maths develops independence and decision making skills which are integrated through the whole curriculum. We teach maths and numeracy at Brookfields School at a level that is appropriate to the learning styles, needs and motivation of each pupil. This might involve discrete daily maths lessons following the National curriculum or be part of a cross curricular, thematic approach to teaching and learning for pupils who have more complex learning difficulties. We teach maths skills through all learning situations that the pupils encounter during the day such as playtime, snack time or lunchtime. 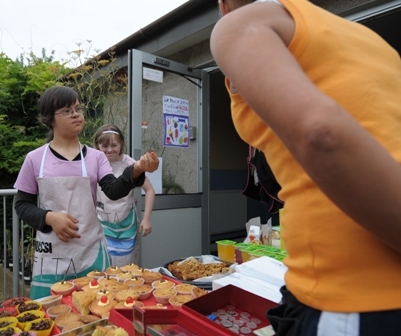 Many opportunities are made to ensure that the pupils use their skills in practical situations such as cooking, shopping and ‘Town Training’. In Key Stage 4 some pupils follow a Nationally recognised accredited course of study and occasionally individual pupils may study for a GCSE with the help of an external tutor. Throughout the year, we cross curricula topics and allow teachers and pupils to explore and spend focused time on the maths and numeracy involved in that particular topic. As a school we are always seeking to raise attainment and are part of ‘Every Child Counts’. We use [email protected] and Numbers Count interventions to help improve the numeracy of specific children.